We are an international foundation serving a global community of individuals and organisations. Our mission is to advance peace, security and international cooperation. We provide the knowledge, skills and network for effective and inclusive decision-making. People make peace and security possible. We believe that effective and forward-thinking leaders and organisations need to build a broad picture of what is happening in an increasingly connected world. We unravel the intricacies of geopolitics and help leaders to develop new skills and the agility to lead in times of tumultuous change. We create an inclusive environment for our global community from 184 nations and across sectors to come together to exchange ideas and develop sustainable solutions for a more peaceful future. We equip individuals and organisations across sectors to learn and lead through online, blended and customised courses, workshops and advisory services. We facilitate public discussions, conferences, executive events and breakfasts and offer an inclusive and impartial platform for diplomatic dialogue and exchange. We provide timely, relevant and useable global insights for our community. Events, interviews and publications are amplified through our digital platforms. We host officials and executives from diverse horizons and incubate projects in our Creative Spark. We reward innovation and research through scholarships and prizes. We have 76 colleagues here at the GCSP. While we cannot introduce you to them all individually here, please meet our leadership team! Christian Dussey is the Director of the Geneva Centre for Security Policy (GCSP) since August 2013. In 2012, he was selected to serve as a fellow at Harvard University (Weatherhead Center for International Affairs), where he spent the academic year 2012-2013. Among other postings as a Swiss career diplomat, Christian Dussey headed the International Security Section of the FDFA, served as political counselor at the Embassy of Switzerland in Moscow (Russia) and as diplomatic adviser to the President of the Swiss Confederation. Prior to joining the diplomatic corps of the FDFA, he served for five years at the Strategic Intelligence Service of the Federal Department of Defense. Christian Dussey was also a general staff officer in the Swiss armed forces. He is regularly invited to give lectures on crisis management at various universities and business schools. He was educated at the Fletcher School of Law and Diplomacy, Tufts University (MA), at the University of Fribourg, Switzerland (MA), and at Georgetown University, Washington D.C. (exchange student). Christina Orisich is the Deputy Director of GCSP and Head of GCSP’s “Executive Education” activities, developing and expanding the organisation’s comprehensive portfolio internationally. Ms Orisich brings an extensive international experience in executive education to GCSP, as well as expertise in consulting in organizational and leadership development, change management, strategy and leading a business. She has a very good understanding of challenges leaders face in this complex and ever-changing world both in the private and public sector. Prior to joining the GCSP, she worked for 12 years for the Center for Creative Leadership (CCL) - Europe, where she was Head of the Coaching and Leadership Development Practice, responsible for Europe, Middle East and Africa (EMEA). Previously as EMEA Design Practice Leader, she led a cross-cultural team of experienced instructional design faculty who delivered highly customized leadership solutions in response to very specific client challenges. In her role as Regional Director, responsible for Austria, Germany, Switzerland, Spain and France at CCL she was responsible for all CCL activities in these countries (multi-million businesses). She built extensive experience in partnering strategically with international global corporations and institutions to support them with their organizational, talent and leadership development challenges. She was Senior Lead Faculty for several client engagements and worked with most of the large international corporations from the Pharma, Health Care, Chemical, Automotive and Financial Services industry. She is also a very experienced Executive coach, and regularly worked with senior leaders from big blue chip corporations as well as international organizations. Before this, Christina worked for PricewaterhouseCoopers (PwC Consulting) in Brussels and London leading EU financed projects in Russia, Ukraine, Estonia, Romania in the public and private sector. Christina also worked at the European Commission in Brussels, Ericsson in Vienna and the Austrian Trade Commission in New York City. Christina has a broad international background and has always worked in multi-cultural environments across a wide range of industries, leading and working with cross-cultural teams. She is Austrian and has lived and worked in 13 countries (Austria, The Netherlands, Belgium, Romania, Spain, Portugal, Italy, France, Ukraine, Estonia, Russia and Poland). She speaks 8 languages. She holds a degree in International Business Administration from the University of Economics and Business Administration in Vienna, Austria. She earned her postgraduate degree in European political studies, from the College of Europe in Bruges, Belgium. She is a certified Leadership Embodiment Coach and is certified by the International Coaching Federation. Philippe Meyer graduated from the French Air Force Academy in 1977, and earned his wings as tactical transport pilot in 1978. He logged over 5,000 flying hours on C160 Transall and C130 Hercules, commanded the tactical transport wing of Orleans, and his flying operational career included many detachments in Africa and others in Cambodia (UN), Sinai (MFO) and Saudi Arabia (Desert Storm). Since 1993 he has been deeply involved in international relations and politico-military issues, serving in the Ministry of Defence’s office in the diplomatic cell and as advisor at the strategic planning office of the joint headquarters. He was assigned for four years in Doha (Qatar) as Defence Attaché at the French Embassy and four years in Vienna as General Head Military Advisor to the French Ambassador near the OSCE. Before joining the GCSP in 2011, he ended his career at the Air Defence and Operations Command in Paris where he was Deputy to the Commander, in charge of international relations (EU, NATO). From 2011 to 2014 he was seconded from the French Ministry of Defense to the GCSP and served as Special Advisor of the Director and Senior Defense Advisor in the Regional Development Programme. In that position, he supervised relations between GCSP and the French Ministry of Defense and developed the “Francophonie” programme. Lecturer on diplomacy and defense issues, he helped further GCSP projects in the Gulf Region and Africa. He was appointed as COO on the 1st of July 2014. His educational background includes a Diploma of Engineering in Aeronautics, and courses at the US Air War College at Maxwell AFB, the National Defence and Security Institute in Paris, the High Military Institute in Paris and the European Security and Defence College. Christian Bühlmann is the Head of the Regional Perspectives Programme . He is seconded from the Swiss Armed Forces. Prior to this assignment, he gained extensive experience in the area of defence policy, politics, and military strategy as Senior Advisor to the Chief of Swiss Armed Forces. He has over 25 years of combined civilian and military experience. His previous appointments include : Head of Sales Defense at a major Swiss company (as a civilian) as well as head of doctrine research and development (as a regular officer). He graduated from the École Polytechnique Fédérale in Lausanne (Master of Science in Computer Sciences), and the Swiss Military Academy. He received a Master of Arts in International Studies (King's College, London) after attending the Royal College of Defence Studies, London. In his spare time, he is working on a PhD thesis in political science assessing the influence of political ideas on the transformation of Swiss defence policy. Christian Bühlmann co-authored a book on a Colonel Daniel Reichel, a maverick Swiss military thinker, and has published numerous article on doctrine, strategy, defence policy, and history. Isabelle has joined the GCSP early 2008 and has held different positions throughout this period. She began at the Centre in the Protocol and Events department where she managed expert seminars, diplomatic dialogue, executive training workshops and major international conferences. In December 2013 she began working for the GCSP’s alumni development and introduced a new strategic plan and new technology to most effectively engage alumni in the life of the GCSP. Prior to joining the GCSP, Isabelle worked for 14 years for Geneva Tourism & Convention Bureau, where she started to work in the Sales and Promotions department. As its Manager in the later years, she was in charge of a cross-cultural team to brand and develop the destination’s leisure tourism sector. Herself responsible for the Asian market, she established Geneva’s partnerships in the Far East and implemented commercial strategies and promotional projects with an active participation at sales meetings, workshops trade shows and other task forces to further drive business. Isabelle has a large international background and has continually evolved in a multi-cultural environment. Isabelle is Swiss and lived and worked in the US, UK, India, the Middle East, and the Far East. She is trilingual in English, French and German and holds a degree in international hotel business management. Anne-Caroline is the Head of the GCSP’s Global Fellowship Initiative and Creative Spark. Anne-Caroline joined the GCSP in September 2003 and has held different positions throughout this time. She spent a number of years working with the Director of Special Programmes on diplomatic activities and training courses abroad. She then worked with the External Relations Team and, as its Manager, was in charge of the Centre’s external communications - GCSP website, media relations and publications. She later joined the Emerging Security Challenges Programme as a Senior Programme Officer responsible for the Security and Law activities of the Centre. Since 2015, Anne-Caroline coordinates the GCSP Global Fellowship Initiative and currently also heads the development of the Creative Spark. She holds a Master’s Degree (LL.M.) in International Humanitarian Law, jointly awarded by the Law Faculty of the University of Geneva and the Graduate Institute of International Studies (HEI). She studied Law at Pierre Mendes France, University of Grenoble (France), and after her Maîtrise with specialisation in European Law, she obtained a Diploma from their European Summer Academy on "Europe in Transition". Prior to her employment at the GCSP, she worked for the United Nations High Commissioner for Refugees (UNHCR) in Athens (Greece), and the World Organisation Against Torture (OMCT) in Geneva. Anne-Caroline speaks English, French, Greek, Spanish, Italian and German. The GCSP's governing body is its Foundation Council, which consists of representatives of 52 member states and the Canton of Geneva. Location matters. We think of Silicon Valley for entrepreneurship or London for finance. For fresh perspectives on international affairs and governance, there is no better location than Geneva – the capital of peace, humanitarian organisations, and a worldwide centre for multilateral diplomacy. Housed within the Maison de la Paix, Geneva’s wealth of knowledge and experience is at the GCSP’s doorstep. 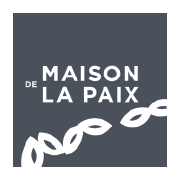 The ‘House of Peace’ is the result of a public-private partnership between the Swiss public authorities, various donors and the Graduate Institute for International and Development Studies (IHEID). Find out about the building and our neighbours here. Our global community is a springboard to locations around the world. We regularly collaborate with partners to deliver courses and workshops that address regional and local security challenges, supporting individuals and organisations outside of Geneva.